Adobe has released Lightroom 4.1 RC2 on the Adobe Labs Web site. 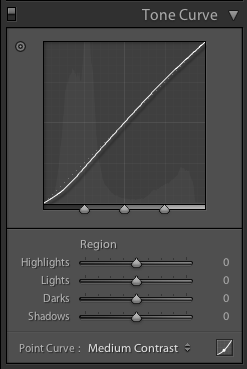 In my testing yesterday, it appears to fully preserve the Tone Curve settings from images in LR3 catalogs. I’ve also found it to be much faster than LR3 as well. I’ve seen several forum posts about some users feeling LR4 was slower than LR3. You can download the update from the Adobe Labs Website. Over the weekend, I learned of a bug in Lightroom 4 that affects some catalogs migrated from Lightroom 3 to Lightroom 4. Changes to an image’s Tone Curve are not always carried through to the new version and may be reset to the default values. In my testing, I found that images where the preset for Strong Contrast or Linear had been selected in Lightroom 3 had been reset to Medium Contrast in Lightroom 4. Manual changes to the point curve were unaffected. Adobe is aware of the bug and is working to fix it as quickly as possible. In the meantime, be sure to retain a backup of your Lightroom 3 catalog (always a good idea for any upgrade) and consider testing Lightroom 4 with a limited number of images before committing wholly to the upgrade.